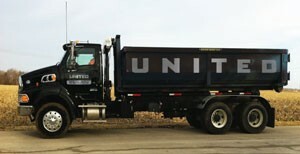 Based in the Fox Valley area of Illinois, United Services is a local, family owned and operated dumpster rental and junk removal company serving homeowners, contractors and business owner s. Founded in 1980, we have the knowledge and experience you look for in a reliable, reputable waste hauler. We work hard to offer our customers the best service possible. We invest in the best and latest equipment, and our highly trained staff is here to help every step of the way. We’re dedicated to not only meeting your expectations, but exceeding them. United Services is a fully insured company licensed to haul waste within the areas we serve. We’re also dedicated to preserving our environment. We recycle approximately 40% of the waste and debris we haul. To ensure your dumpster load is recycled, give us a call at (630) 882-8833. We work with homeowners, businesses, industrial clients, government, roofers, realtors, property owners and much more. 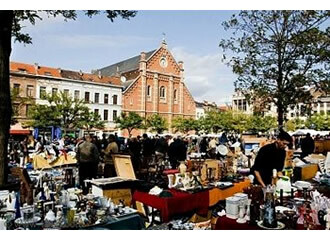 Do you have left over items from a garage sale, auction or an estate cleanout? It’s very common to end up with a ton of stuff that you must get rid of quickly. Call United Services at (630) 882-8833 and we’ll bring a container to your location pronto. When loaded, we will promptly pick up the container and be on our way. If you really want it done right, use our You Load, We Load service – where we bring the people and equipment to do all the work for you. It’s quick, affordable, and easy. 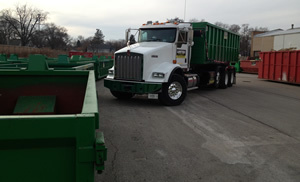 United Services is the leading construction dumpster provider serving Aurora, Naperville, Oswego and surrounding areas. Our rates are amongst the lowest in the area and our service can’t be beat. If you value friendly, professional service and an unrelenting drive to be the best, United Services is the dumpster rental provider for you. 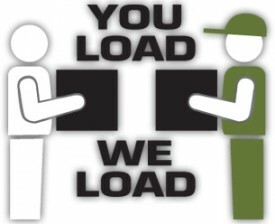 We take service to the next level with our “You Load, We Load” program. We manage the entire process from start to finish. We get the job done quickly and efficiently. You avoid the back pain! Our professional crew has decades of experience loading and hauling wastes of all types. It’s our ongoing commitment to the customer that keeps us at the top of our game. We take pride in providing a valuable service to the community, and we look forward to helping out with your next cleanup. We’re centrally located in Aurora, IL and provide service here and in surrounding areas, including Naperville, Oswego, Montgomery, Geneva and other nearby cities. Call (630) 882-8833 to see if your location is within our service area. If you need a dumpster or junk removal service in Fox Valley or the Western Suburbs of Chicago, United Services is the most affordable and reliable choice.